From funeral potatoes to “dirty sodas,” you can declare the Beehive State an oddball, and that’s without even bringing up the topic of religion. Delightful differences don’t just end at the state line. Our Idaho neighbors to the north like to be uniquely unusual in their own ways. After all, the just-over-the-border southern Idaho town of Preston was where Napoleon Dynamite lived. If you want to get your quirk on across state lines, consider these one-of-a-kind offerings in southern Idaho that are close enough for a day trip, but enjoyable enough that you might want to make them a weekend getaway. 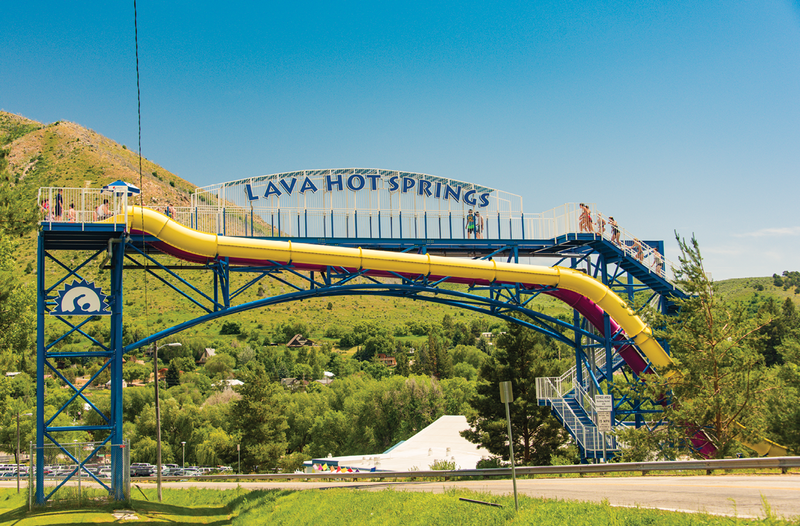 Lava Hot Springs is both the name of a town and the No. 1 activity in that town located just a couple of hours drive from Salt Lake City. There are naturally occurring hot springs with water that has no chemicals, sulfur or odor feeding into five pools with natural temperatures ranging from 102-112 degrees Fahrenheit. That’s unique enough in and of itself, but what’s really weird is that in this notably conservative area of the country, instead of letting private interests buy up the hot springs and build up luxury resorts charging people big money to access the waters, the good people of the area decided they’d rather have the hot springs available to everyone. In 1902, they turned everything over to the state government. What that means for you in 2018 is that you can go soak in the springs for the ridiculously low price of $6 for adults Monday through Thursday and $10 on the weekends. While you’re in town, Riverwalk Thai Food is run by Thai immigrants who operate their successful restaurant in a converted side-of-the-road gas station. It draws people to drive from hours away just to get the pad Thai. Ask your friends in New York City or Los Angeles if they’ve got one of those nearby. Speaking of one-of-a-kind experiences, when was the last time you rode down Main Street in a huge Army truck? 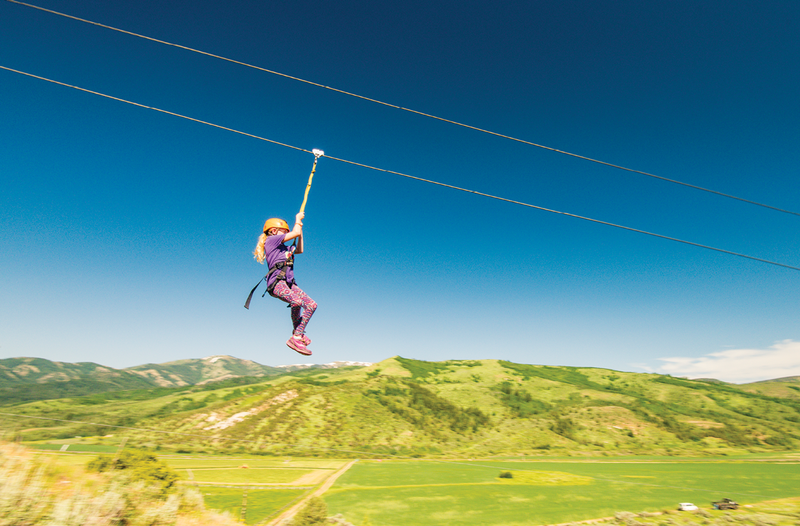 That’s just the first part of the adventure when you book with Lava Zipline. The truck takes your crew to a mountain spot outside of town where you can spend three hours riding ziplines and navigating ropes courses in a gorgeous outdoor setting. Drive 35 miles northwest from Lava Hot Springs and you’ll find the town of Pocatello, home to the Museum of Clean, a 75,000-square-foot, six-story building devoted to the “ultimate goal” of being able “to put Clean in the minds of all who visit.” It houses multiple exhibits, including the world’s largest collection of vacuum cleaners, as well as hands-on activities that kids will love. Let your inner obsessive-compulsive run wild! 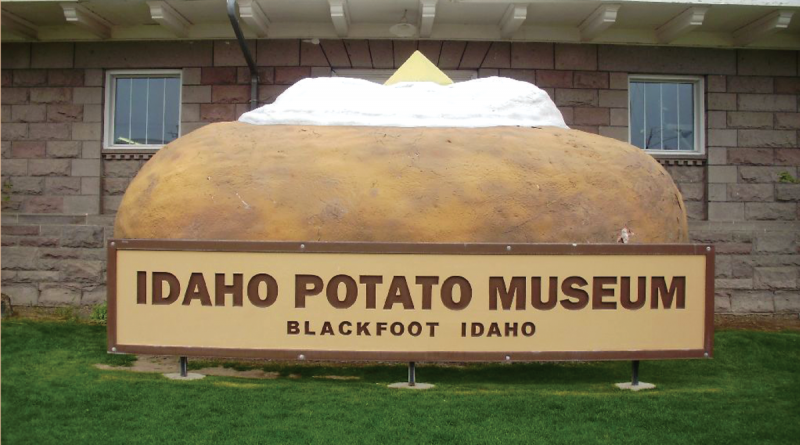 From Pocatello, head another half-hour north on Interstate 15 to Blackfoot, drive down Main Street and be on the lookout for a gigantic baked potato loaded with sour cream and butter sitting outside a 1912 stone railroad depot. 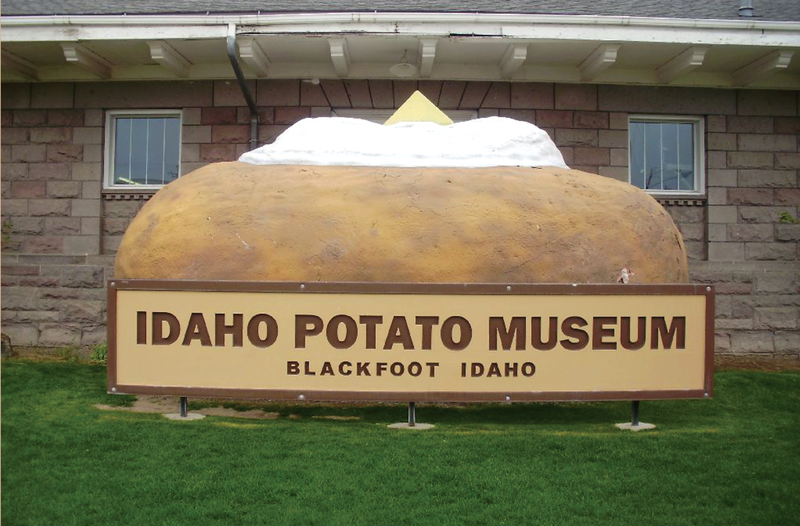 When you find it, you’re at the Idaho Potato Museum. Sure, there’s lots of potato history, but if we’re being honest, the biggest reason to visit is to check out Potato Station Cafe. In addition to the obvious choices of fries and a baked potato bar, you can also find potato bread, potato cupcakes and even potato ice cream. 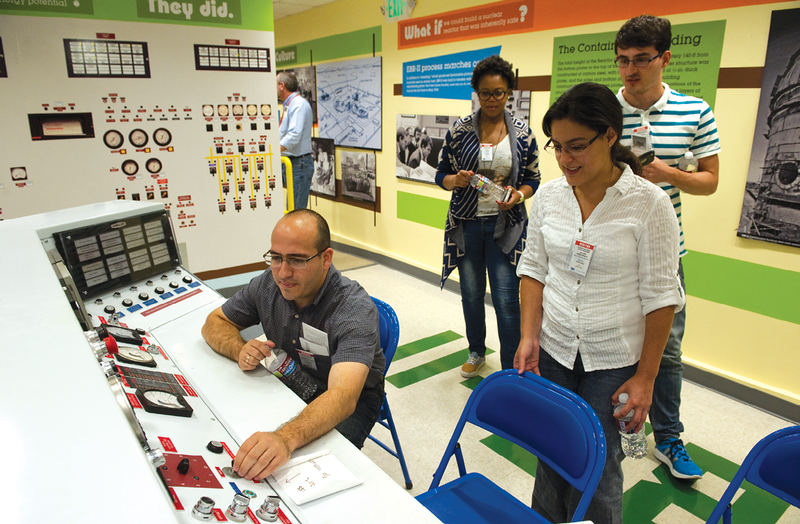 Did you know that the first ever atomic power plant was in Idaho? Heading northwest out of Blackfoot on U.S. 26 for an hour brings you to the town of Arco. You’re still only a 3½-hour drive from Salt Lake. Arco is home to Idaho National Laboratory and Experimental Breeder Reactor No. 1 (EBR-1). In 1951, it became the first power plant to produce electricity using atomic energy. It’s been shut down since 1963 and was named a National Historic Landmark in 1966. Visit the website www4vip.INL.gov/ebr to learn how to take a self-guided tour of the site, including going into the control room. Just don’t touch any buttons! 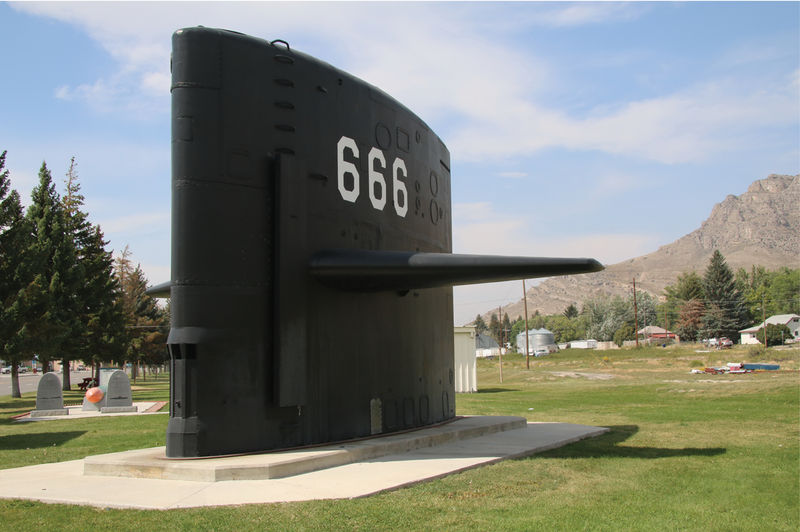 As you are driving along U.S. 26 in Arco, you’ll also drive by what is known as both The Devil Boat and The Submarine in the Desert, located at 400 S. Front St. in Arco. It’s the preserved sail of the submarine USS Hawkbill, which happened to have the hull number of 666. Large and black, it’s hard to miss since it looks like a submarine rising out of the grass. Being an oddball knows no boundaries. Don’t let state lines stop you from relishing in the weirdness of our Idaho cousins.